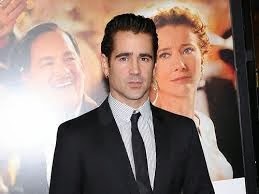 The intruder was arrested after trespassing on the 'Total Recall' star, Colin Farrell's property while he was at home in Los Angeles. The man is not thought to be a US citizen, and is believed to have traveled to Los Angeles specifically to see the Irish star. Colin has two sons, James, 10, and Henry, 3, by different women and he is particularly protective of his eldest son, as he suffers from Angelman Syndrome, a rare neuro-genetic disorder that can impair speech, movement and balance.